Art auctions are a fascinating marketplace, gathering collectors from across the globe and offering collectibles for sale which would otherwise only be displayed in museums. 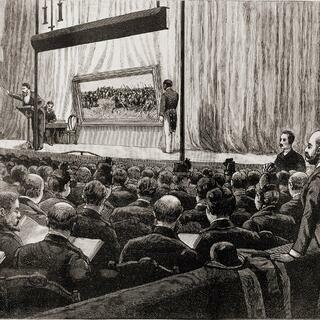 Not only for market actors, but also for lawyers auction sales are a unique way of dealing. An auction sale generally involves three parties if not more, commissions on both the consignor’s and the buyer’s side, and specific warranties and disclaimers of liability. Simply characterising the legal relationships that arise at art auction sales may be a challenging endeavour. A recent decision by the Swiss Federal Court shows that the specific circumstances of a consignment may change the characterisation of the legal relationships between the parties. This article provides some insights into the legal relationships that bind the auction house, the consignor and the purchaser at auction. An auction house and a consignor are generally bound by a consignment agreement. Under US law, this relationship is typically one of agency. Under Swiss law, the characterisation of the consignment agreement very much depends on the specific conditions the parties have agreed to. Generally, an auction house and a consignor enter into a commission contract, by which the commission agent maintains the right and obligation to close a contract for the principal’s account against a commission. However, the characterisation of the consignment agreement may differ when auction houses divert from their standard practice. As an illustration, auction houses offer some consignors a more attractive arrangement in order to secure their consignment. In particular, the auction house may forego its seller’s commission, or agree to a guaranteed sale price. In a dispute between an auction house based in Geneva and a consignor who had agreed to sell an important collection of stamps with the auction house, the Swiss Federal Court had to characterise the agreement both parties had entered into. As part of the agreement, the auction house offered the consignor to waive its seller’s commission and a guaranteed sale price of 1 million euros. The parties also agreed to a date for the delivery of the collection to the auction house. The collector then signed a further agreement which specified that if he withdraws from the consignment after the delivery of his property to the auction house, he will owe payment of the buyer’s commission calculated on the basis of the estimate price. The legal dispute arose when the collector did not deliver the collection at the set date, and instead sold it to a third party for 1.5 million euros. The auction house brought a lawsuit against the collector claiming for the payment of 400,000 euros in damages, corresponding to a buyer’s premium of 20 per-cent based on a hypothetical hammer price of 2 million euros. The dispute reached the Swiss Federal Court which decided in the collector’s favour. The Court held that the characterisation of a consignment agreement can differ according to whether the auction house offers its services against a seller’s commission or for free. The Court further specified that under Swiss law, the consignment agreement is a commission contract if the service is provided against payment by the principal, whereas if not, the parties have entered into a simple agency contract. The difference between both contract types resides essentially in the auction house’s entitlement to a commission, which is not due in the event of a simple agency contract. Moreover, according to statutory law, a commission agent is entitled to such a commission even if the sale did not take place for a reason attributable to the principal. In the present case, the Court characterised the consignment agreement as a simple agency contract considering that it was free of charge to the consignor. The Court then assessed the auction house’s right to compensation under the given circumstances. Statutory law allows either party to an agency contract to terminate the contract at any time without any reason, which is exactly what the stamp collector did. However, if the termination is ill-timed, the party terminating the contract must compensate the other for any resulting damage. The Court pointed out that this statutory remedy does not allow the agent to claim for the loss of profit resulting from the sale’s cancellation. Since the auction house did not establish any costs that resulted from the cancellation, but entirely based its claim for damages on loss of profit, the court rejected the auction house’s case. Also, the auction house arranged in its general terms of business that the consignor owes the buyer’s premium should he cancel the consignment, but only upon delivery of the consigned property. As the collection had never been handed over to the auction house, the Court concluded that this contractual penalty fee did not apply. Major auction houses generally foresee a penalty in their business terms in the event the consignor decides to withdraw his property from the sale. Such a contractual penalty complies with Swiss law as long as it is not calculated on the basis of the commissions that the auction house would have received upon the sale’s performance. Auction houses purport themselves to be a sole intermediary in a transaction that is concluded exclusively between the consignor and the buyer. In fact, major auction houses clearly stipulate in their conditions of sale that they act as agent for the seller, and that the sale contract is directly concluded between the seller and the buyer. The auction houses’ confidentiality policy protecting the consignors’ and the purchasers’ identity causes some difficulty in determining which parties are bound by the sale agreement. The main question resides in establishing whether an auction house can validly conclude a sale agreement on behalf of an unnamed consignor and remain unbound by it. In the US, case law shows that the auctioneer remains outside of the sale contract if the contract expressly and clearly says so. Therefore, neither the consignor nor the purchaser can hold the auction house responsible under the sale contract. Under Swiss law, controversy exists as to whether an agent can or cannot conclude a contract in the name of an unidentified party. Some scholars hold the view that an agent may validly conclude a sale contract on behalf of a principal if the principal’s name is disclosed after the contract’s conclusion, or if the third party did not care with whom he made the contract. Other scholars suggest that disclosure is a mandatory requirement for the valid conclusion of a contract on behalf of an unnamed principal, failing which the contract is concluded directly between the agent and the third party. In the auction context, this scholarly view means that the buyer enters into the sale agreement with the auction house, not the consignor. A closer look into the art auction sale process shows that auction houses generally hold the authority to act as agent of both the consignor and the purchaser for the same sale transaction. More specifically, auction houses may act as the purchaser’s agent for specific purposes, such as when placing a bid on the purchaser’s behalf and when drafting and signing the memorandum of sale. Hence, auction houses also operate as the purchaser’s agent for limited purposes, which carries the risks of conflict of interests. Despite being a well-established marketplace, generating a huge amount of transactions each year, art auctions are still a cause for debate among specialists. The characterisation of the legal relationships arising at auction is mostly determined by the auction houses’ general terms and conditions of sale. Nonetheless, the wording of these clauses may differ from the factual and legal situation actually present at the time of sale, and have an impact on the legal characterisation of the relationships between the parties. Hence, the idiosyncrasies of the art auction market suggests that reading the clauses of a contract may not suffice, but require a careful analysis of the clauses in light of the auction houses’ practices. This article was published in the "Art, Cultural Heritage Institutions and Heritage Law" Newsletter of the International Bar Association Legal Practice Division, Vol. 13 No. 1 (August 2016), pp. 16-18. Anne Laure joined us in August 2015 as a trainee lawyer. She advises individuals, companies and foundations on art issues such as sale, transport, loans, copyright, consumer rights, and cross-border transactions. She also assists on general corporate and commercial matters. Moreover, Anne Laure is a director of the Art Law Foundation, a Foundation based in Geneva which aims at supporting teaching and research in art law by means of several events per year and publications dedicated to the various facets of art and cultural heritage law. She is a lecturer in copyright and art law at the University of Fribourg and a guest lecturer in art and cultural heritage law at the London School of Economics and Political Science. Anne Laure studied Law at the University of Fribourg where she obtained her Bachelor's and Master's degree. She then worked as teaching and research assistant at the Art-Law Centre of the University of Geneva. Anne Laure holds a PhD in Law from the University of Geneva and a Post Graduate Certificate in Learning and Teaching in Higher Education, accredited by the UK National Higher Education Academy. She is a member of the In-ternational Bar Association Art, Cultural Institutions and Heritage Law Committee and of the Geneva Bar Association. Her mother tongues are French, German and Swiss German. She is also fluent in English.